This native plant is a perennial vine in the gourd family, along with squash and pumpkins. However, all parts of this plant are poisonous. The large root sometimes has a human shape and can weigh 100 pounds, which explains the common name. 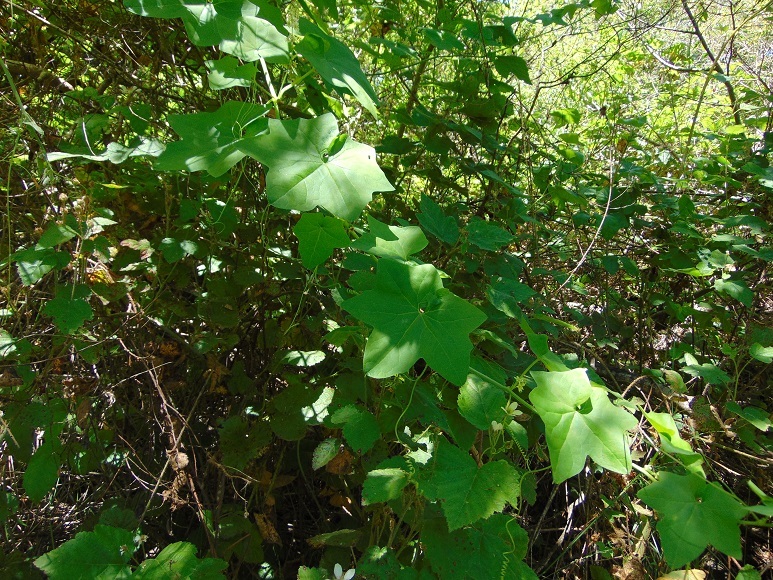 Because this study root can survive a fire, manroot is often the first plant that reappears after a fire. The fruit is round, green and tennis-ball sized and is covered with sharp spiky thorns. The vines climb up and over other plants, anchoring themselves by tendrils. You might find a wild cucumber entwined in a tangle of other plants. Do not eat!